Kate Woods, Executive MPH Class of 2011 publishes an article titled Access to Quality Early Education Needed. This piece found in APHA’s News & Views centers on the importance of quality early learning experiences and environments as a public health issue. For the full article, click this link: APHA News & Updates Spring/Summer 2010. 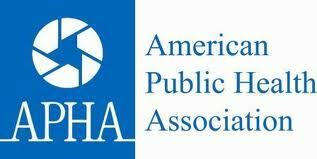 This entry was posted in Class of 2011, Public Health News and tagged American Public Health Association, Kate Woods. Bookmark the permalink.